Is paper crafting a large part of YOUR life? Do you love to get together and have fun with your crafting friends? Would you like to make some extra money doing what you love? If you answered yes to any ONE of these questions, then Stampin’ Up! might be right for YOU! 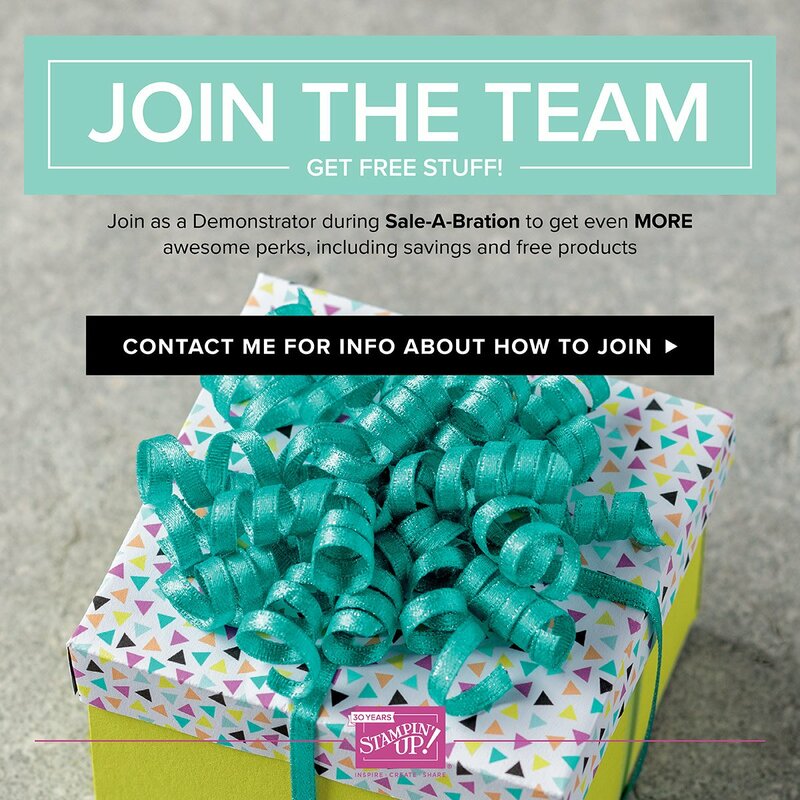 Doing what I love, sharing with others and building a flexible and rewarding business are just some of the reasons I decided to join Stampin’ Up! And now, 15 years later, I’m continuing to share my paper crafting passion with others – full time. PLUS during Sale-a-bration 2018, get two FREE stamp sets for joining in the fun! Who doesn’t like FREE?